This year was my 6th running of the Cherry Blossom Ten Miler (see last year’s recap here) and I was using the race as a speed check and workout while training for Grandma’s Marathon. 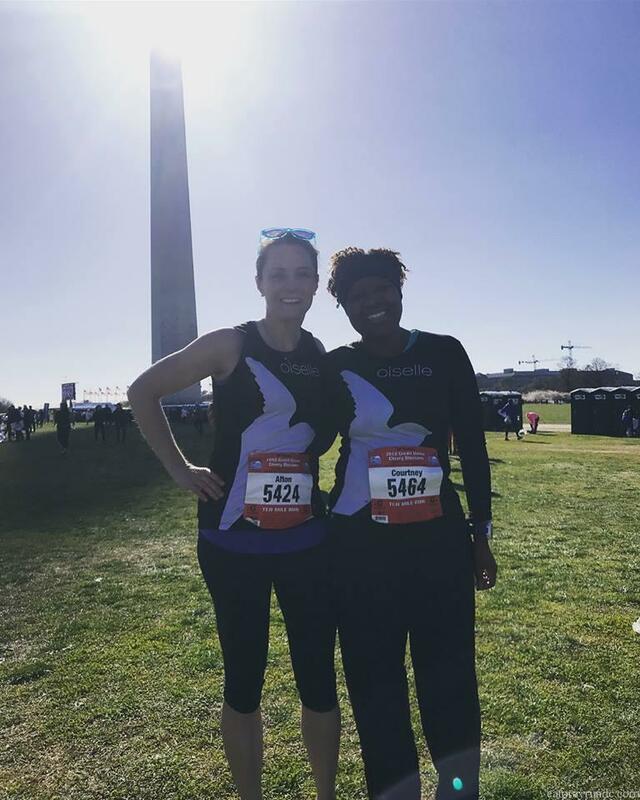 My plan for the race was to run pretty fast – I was hoping for an average pace around 8:2o which would have been a PR. Spoiler alert – that did NOT happen. I had a very tough race and did not meet my goal. I was pretty disappointed but such is life. 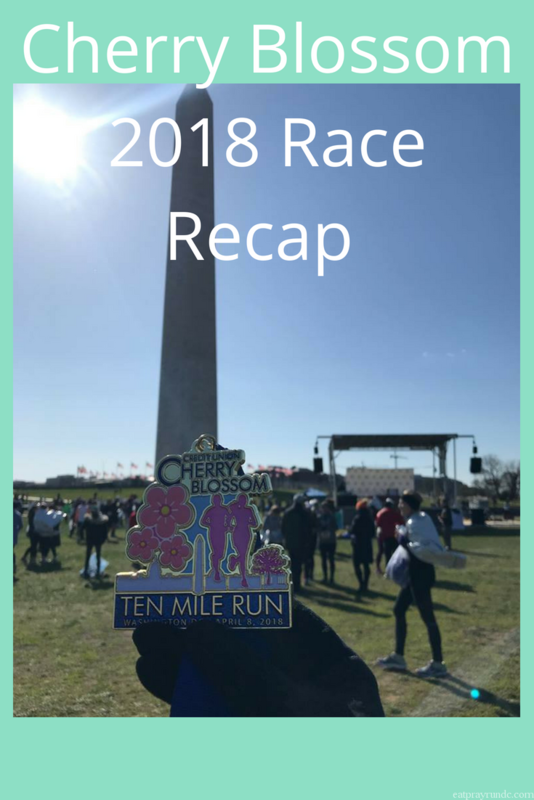 Here is my recap of one of my favorite races (even though I hated it this year, lol)! Miles 1-4 (8:42/8:28/8:29/8:31) I was hoping to run the first five or so miles around 8:30 and then run the back half as fast as I could. I generally did that – with a slower first mile due to the crowding on the course. However, those early miles felt very, very hard. I was really working for the 8:30 pace – which should be hard but not ridiculously hard. It felt ridiculously hard. Sometimes, though early miles are liars so I thought that maybe it would get better throughout the race. After all, I love the ten mile distance and love Cherry Blossom! Miles 5-8 (8:24/8:30/8:31/8:46) Yeah – so it did not get better. I started to feel sick to my stomach and actually got a little sick while running. I just felt totally awful. I am still not 100% sure what happened but I think my nutrition was just off. It was just not my day. I got progressively slower and slower and honestly wanted to stop running. Miles 9-10 (9:00/9:02) I literally felt like I was running 11 minute miles so I was surprised that I was still around a 9 minute pace. I just felt awful and unhappy and was ready to be done. Finally, the finish line was in sight and I crossed at 1:27:14. This was my second fastest ten miler but definitely my worst experience. I love this race but once I started to feel bad, I just wasn’t in it. I was really disappointed after the race that I was so far off my goal. I texted with my coach some and felt bummed, but then I got over it and moved on. The next morning, I put on my sneakers and went for a run. Because that’s life – sometimes it is your day and sometimes it is not. I still love the ten mile distance and this race and can’t wait to run it again next year and get the PR I missed this year! How do you regroup after a tough race? I’m sorry to hear that you struggled during what I know is one of your favorite DC races. Hopefully the next time you run it it’ll be your time to shine and show those PR Gods who the boss is. Aw thank you! It was a rough day but good mental practice! Some days it’s just not there. I’m sorry you didn’t have the race you hoped for. It will make Grandma’s all the sweeter in a few weeks!